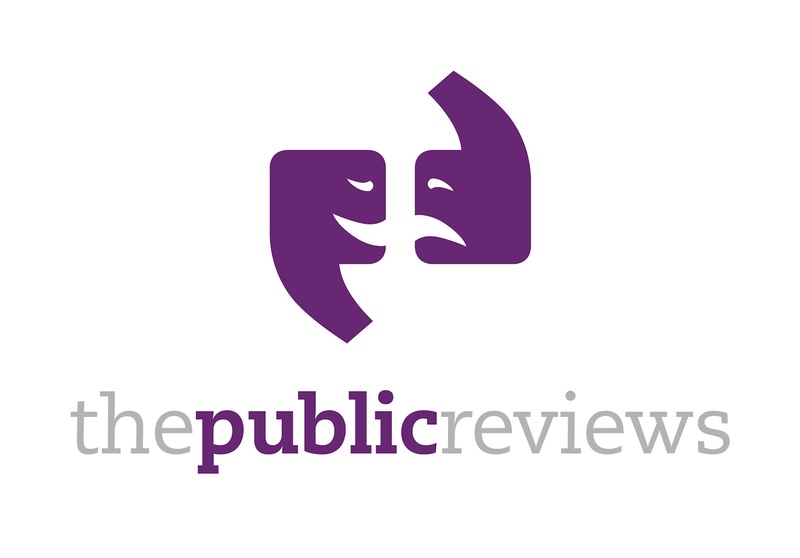 I reviewed this recording for thepublicreviews.com earlier this year and that review can be found below. 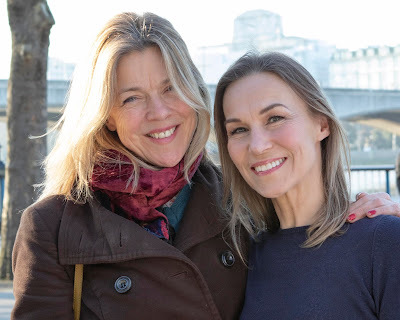 Coming very soon to the Harold Pinter Theatre in the West End will be the transfer of Maria Friedman's award winning production of the show that opened in 2012 at London's off-West End Menier Chocolate Factory. This New York recording complements that London show perfectly! In the understandable absence of a recording of the Friedman production, this CD is a more than worthy addition to any soundtrack collection. See the London show and buy this CD. 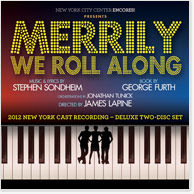 This recording of Merrily We Roll Along hails from the 2012 Encores! concert production, staged at New York City Hall. Whilst many acclaim this show to be one of if not, the best of Stephen Sondheim’s work, it’s a tough story to conceptualise. The tale unfolds backwards through time, where friendships and marriages that are initially presented fractured and in pieces, are slowly re-assembled as the plot winds back twenty years to three young Americans. Frank and Charles are composer and writer and Mary a college friend, with all three sharing a floor at college and meeting on a rooftop watching the Sputnik orbit. On stage it’s a tough enough plot-line to follow. In a recording, and without a knowledge of the story’s structure, then the narrative is virtually impossible to discern. So, as a pre-requisite, any recording of this particular show needs to assume that the listener has a familiarity with the underlying story. Conveniently, there is an unconnected, but nonetheless acclaimed production of the show currently in London and shortly to transfer to the West End, which can provide that background. And so to the numbers. Generally, they are performed extremely well, even if sung by a cast of American musical theatre talent whose names are unlikely to be recognised by anyone outside of the showbiz bubble. At nearly 5 minutes, the Overture is a brassy treat of a big Sondheim sound that is a well crafted easing in to the collected melodies of the show. Other treats to listen out for on this recording are the show’s title song, setting the scene and like so much of this acerbic piece, dripping with irony. Franklin Sheperd, Inc, a vitriolic number sung by lyricist Charley about his former friend and songwriting partner Frank is a tour de force of rapid fire lyrics, a mix of humour and scathing criticism. Powerfully sung, Not A Day Goes By is the most gut-wrenching of songs , sung by Frank’s (first) wife Beth, as she addresses the collapse of their marriage. This short song is arguably one of Sondheim’s most coruscating compositions and the heart-rending performance on this recording is flawless. Amongst the other strong numbers from the show are Our Time and Old Friends, which too provide inspirational listening. If you love Sondheim , or if you adore the show, then this recording will not disappoint. It’s a tough plot to follow and whilst some of the rhymes are at times a little naïve, his melodies are outstanding and this collection of songs are a deliciously incisive comment on the human condition.